2018.06.02 Gathering of the Scots 3 N/A 43'6.5" 17.2lbs. N/A 12:15 20'0.0" 97.0lbs. 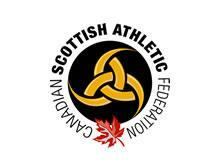 78'9.0" 38'3.5" 111'6.5" 90'1.0" 17'0.0"
2016.06.18 Moncton Highland Games 2 N/A 47'0.5" 17.2lbs. 28'0.0" 20.0lbs. 11:50 20'0.0" 106.0lbs. 74'10.0" 39'10.5" 115'1.0" 89'3.0" 15'0.0"
2016.06.03 Gathering of the Scots 3 N/A 44'9.0" 17.2lbs. N/A 12:00 20'0.0" 109.0lbs. 77'7.0" 40'9.0" 112'9.0" 91'1.0" 17'0.0"
2015.06.20 Moncton Highland Games 3 40'4.0" 22.3lbs. 49'6.0" 17.2lbs. N/A 01:30 19'6.0" 111.0lbs. 69'8.5" 36'5.0" 113'10.5" 91'11.0" 17'6.0"
2015.06.20 Moncton NB Highland Games 3 40'4.0" 22.3lbs. 49'6.0" 17.2lbs. N/A 01:30 19'6.0" 111.0lbs. 69'8.5" 36'5.0" 113'10.5" 91'11.0" 17'6.0"
2015.05.30 Gathering of the Scots 3 N/A 46'3.0" 17.2lbs. N/A 12:00 20'0.0" 109.0lbs. 70'6.0" 37'9.0" 113'6.0" 100'6.0" 16'0.0"
2014.07.26 New Brunswick Highland Games 3 39'7.0" 22.0lbs. 40'2.0" 20.0lbs. N/A 12:00 20'0.0" 112.0lbs. 78'3.5" 38'0.0" 121'8.5" 80'11.0" 16'10.0"
2014.05.31 Gathering of the Scots 6 N/A 48'8.0" 17.2lbs. N/A N/A 71'10.0" 35'8.0" 102'4.0" 82'8.0" 15'0.0"
2013.05.25 Gathering of the Scots 8 N/A 40'3.0" 17.2lbs. 24'0.0" 20.0lbs. N/A N/A 33'4.5" 95'5.5" 75'9.0" 13'0.0"
2012.05.26 Gathering of the Scots 8 N/A 38'3.0" 17.2lbs. N/A N/A 60'4.0" 28'6.0" 97'0.0" 74'7.0" 15'6.0"